HomeIs my face red? How do you Define Love? Love begins where self ends. Love is as much the sun as it is the moon. Love is the experience everyone wants to remember be it while shifting from spring to summer in June or anticipating the coming year on the 31st of December. Love is the cookie with thoughtfulness baked and love is letting someone jump into the pile of leaves you just raked. Love is amazing firework splendor and love is delicate newborn tender. Love is a cuddle, a glance, a wink. Love is green, or blue or pink. Love is the center of where happiness lives. Love is whatever you say it is. 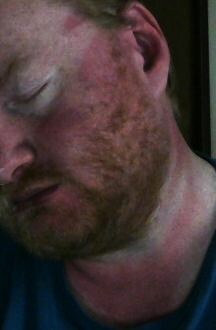 Being a redhead, like you, I smoother the factor 50 on as well, Ronovan. I don’t particullay like the sun, because I burn far too easily and I don’t like not being able to cool down. I don’t like our British summers when they become too hot and humid. A lot of people don’t understand that when I tell them. I much prefer the Spring and Autumn months. However, I would have done exactly the same as you and gone and watched B had it been my son. Love is when you will do anything for the one(s) you love. That was my writing challenge this last week… Sort of – what does love taste and sound like, I wrote a little piece of flash too, if I hadn’t done that I may well have written a post on this, very thought provoking. I’ve often wondered what it really is – is it that initial honeymoon intensity or the candle that still burns for the old couple 50 years later. How when they are so different can they be part of the same thing?